Aquariums are amazing, but seeing marine life up close and personal in its natural habitat is priceless! Express Watersports seeks to help guests do just this on any of their Ocean Sightseeing and Dolphin Watch Cruises. These 90-minute excursions take up to 49 visitors through Murrells Inlet and out onto the ocean for either morning or afternoon trips. The 46 ft. Newton Boat promises comfort for all, with its shade area to help you stay cool, sun deck for catching some rays, and bathroom. Throughout the tour, learn amazing facts about local ecology and historic facts from the on-board naturalist. Prices are $20 for kids and $25 for those 13 and above. Get a glimpse of the coast like you've never had before with a dolphin watch cruise from Express Watersports. This one is for the true dare-devil in the group! Get a truly one-of-a-kind experience at Tandem Skydiving, where you can spend minutes free-falling over the coast before launching your parachute and gliding comfortably to the landing zone below. Though a little off the beaten path (about a 40-mile drive from North Myrtle Beach), Tandem Skydiving in Southport, NC offers up an unbeatable view of the Atlantic Ocean and the Coastal Carolinas. See the sights that have inspired aviators ever since Orville and Wilbur Wright. If you're up for the task at hand, you definitely won't regret making the drive to Southport! For a longer tour of the area from boat, visit Rover Tours. The Carolina Rover provides guests with an eco-tourism experience unlike any other along the Grand Strand. The 3-4 hour tours take visitors by 40 ft. pontoon boat through smooth inland waters, to a remote barrier island, to South Carolina's oldest lighthouse. 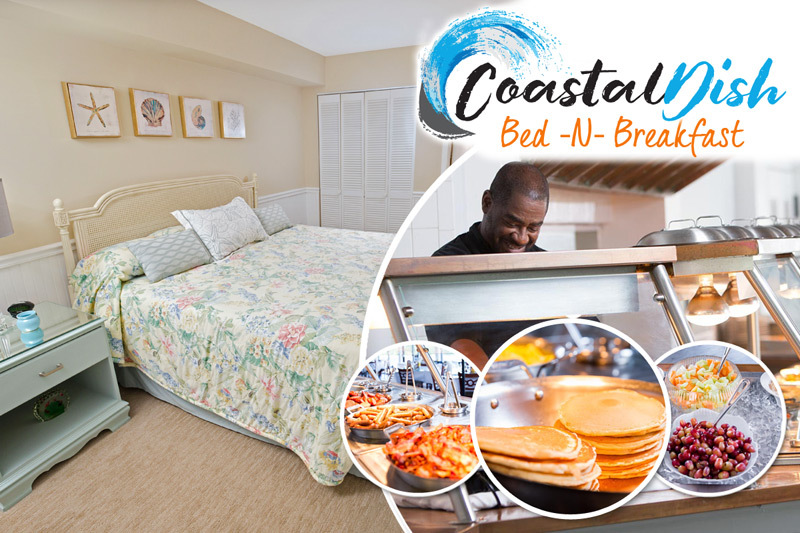 Be prepared to see bald eagles, alligators, dolphins, shore birds, and perhaps even sea turtles, along this historic and lovely tour of the coastal south Myrtle Beach and Georgetown areas. How would you like to see Myrtle Beach from under the water? Coastal Scuba not only offers Scuba diving classes, but they also provide charters from private vessels and open boats. Whether you're looking to experience a 1/2 day excursion or a gulf-stream overnight expedition, Coastal Scuba can take you there! With several dive sites to choose from, including Civil War wreckage and man-made reefs, you're sure to have a great time exploring Myrtle Beach from below! Located in North Myrtle Beach, Coastal Scuba offers up a great and unusual way to see the area. 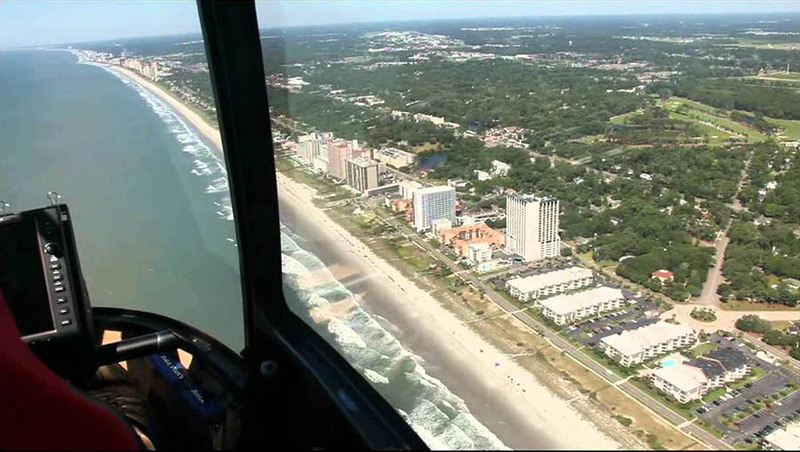 Found in the heart of Myrtle Beach, Helicopter Adventures helps you to soar above the city and see all of the most-visited and beautiful areas of the coast. Just a short drive from Broadway at the Beach, helicopter tours take guests on adventures of varying length, depending on your interests. The most economical tour takes guests on a 2-mile flight over Broadway at the Beach, Myrtle Waves, and the Ripken Baseball Experience. Flight packages increase and go all the way up to the longest adventure, which takes you on a 40-42 mile round trip tour of the Grand Strand, from central Myrtle Beach to North Myrtle Beach and Little River. With so many options and price levels, Helicopter Adventures really stands out as the premiere way to see Myrtle Beach from a different perspective. The company also helps with special occasions, like marriage proposals, so be sure to communicate with staff to set up your perfect excursion. From soaring to new heights to descending to new depths, these 5 companies will take you out of the real of ordinary and into something a little more unusual! Make the most of your vacation by seeing Myrtle Beach from a fresh perspective.